I took what I learned from that TED talk, and the first time I had to share my KM story, I knew it needed to be compelling. I was in an organization where everyone knew that we needed KM, but they didn’t understand why, how we were going to accomplish this task, or what the benefit was. There were several barriers I had to overcome. After sharing my story with leaders in the organization, I was able to socialize the message for why KM was important and gain buy-in. These leaders were aware of the problem and trusted me to continue this journey by providing me with contacts that would be my supporters and drive the conversation within their respective business groups. 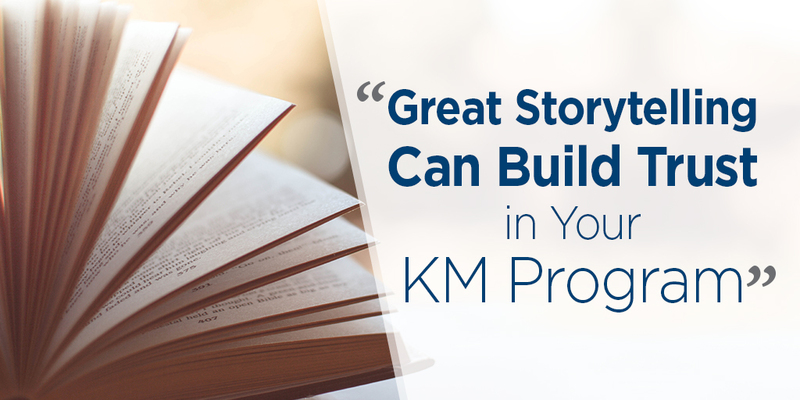 By sharing stories on how KM complements existing processes and behaviors, I was able to secure sponsorship, gain trust, and build relationships to continue the journey forward. A good story resonates with us. It engages us. It adds to our understanding. And it makes us believe. Through telling stories, you’re able to get your advocates on board early; not just your top leaders, but those that are the champions in the business. By socializing your messages across multiple levels within the organization, you’re sharing a story, providing talking points, and framing the vision. Getting advocates onboard takes time, but by speaking their language, building trust, and showing how KM feeds into existing programs and processes, you’re setting the stage for a successful program where individuals eagerly engage and participate. 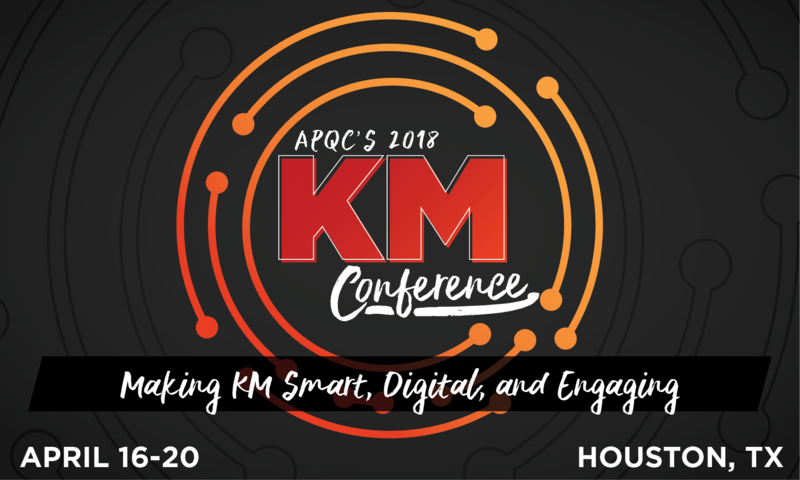 To learn more about storytelling and other proven change methods for KM engagement, join me for a workshops April 16-18 prior to APQC’s 2018 Knowledge Management Conference. APQC will host several training workshops that will show you how to apply methods for creating an actionable change strategy for KM. Spaces are filling up fast. Register now!